At the Los Angeles Times, Michael Hiltzik argues that the California state legislature should do more to advance bills that promote safe drone flying. At Bloomberg Business, Matthew Braga writes that the underwater drone industry has suffered as a result of low oil prices. 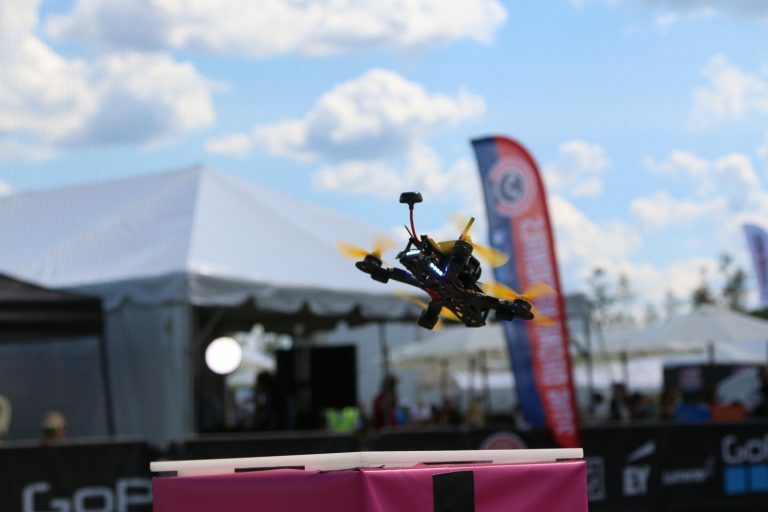 At Drone 360, Leah Froats offers a guide to first-person-view drone racing. Meanwhile, at MarketWatch, Sally French writes that funding for drone racing has soared as a result of a general increase in interest in the sport. At the Associated Press, Sarah Gantz reports that Textron Systems, the firm that makes the Shadow military surveillance and reconnaissance drone, is considering developing drones for commercial use. At National Real Estate Investor, Robert Carr takes explores the benefits and drawbacks to using drones in warehouses and industrial spaces. Drone Wars UK published an updated dataset on U.K. air operations in Iraq and Syria, including missions carried out by Royal Air Force Reaper drones. At Yahoo, Sabrina Rojas Weiss offers a few suggestions for how to get the most of drone wedding footage. At the San Francisco Chronicle, Wendy Lee writes that the Department of Homeland Security is turning to Silicon Valley startups for small surveillance drones. At the Bulletin of Atomic Scientists, Sitki Egeli argues that strict export controls on drones are weakening efforts to curb the spread of missiles capable of carrying weapons of mass destruction. At the Strategy Bridge, Michael P. Kreuzer examines how the U.S. Air Force could increase the numbers of drone pilots by reviving the warrant officer program. At Just Security, Marty Lederman offers a few key takeaways from the Obama administration’s targeted killing “playbook” document. At Rawnsl Notebook, Adam Rawnsley posted a 1986 CIA report on the potential for drone proliferation. According to an investigation by The Independent, there were over 400 reports to police about incidents involving drones in the U.K. in 2015, a significant spike over the previous year.